Last week, there was a break-in on Rosemount. There was also an assault, a robbery, and a shooting on or near Hickory Tree road on three successive nights. A man took himself to the hospital early Friday morning after being shot in the leg, perhaps in the park. 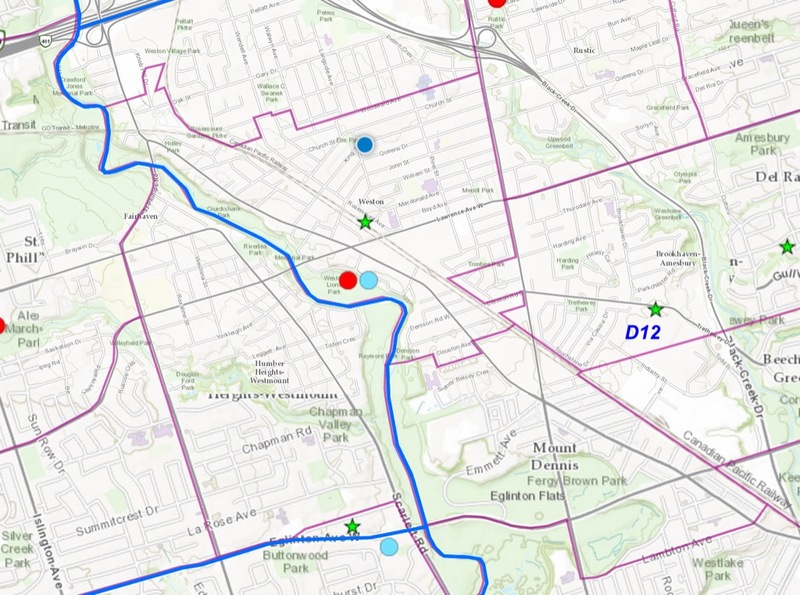 As an aside, the year-to-date shootings in Toronto give quite a good map of the fortunes of the city: shots are fired in a horseshoe surrounding the rich north-centre of the city. There have been five shootings in Weston so far this year; none has been fatal. There has been only one shooting, also non-fatal, in Mount Dennis.